HOUSTON, TEXAS - THE GREATEST CITY IN THE WORLD! Being in Houston brought many unique opportunities as well as trials this year. Houston hosted the NACE National conference, of which we were honored to play a very big role in, we hosted Super Bowl LI and as a result, we played some incredible SB related events and parties (one of which, the musician Sting was in the adjoining room), and represented Houston for events hosted by the Houston First Foundation. 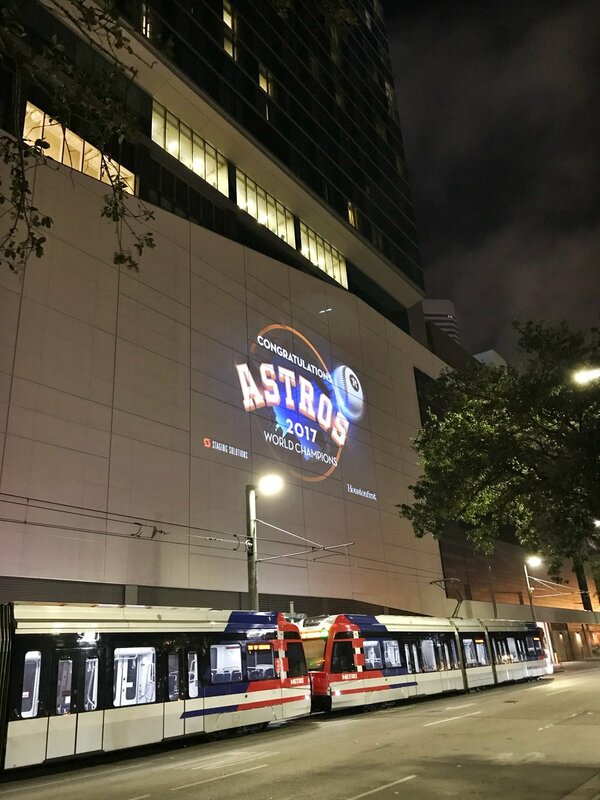 As the Houston business community has grown and diversified over the last ten years, it’s made Houston a prime destination for national conferences and corporate events of which we also played several. 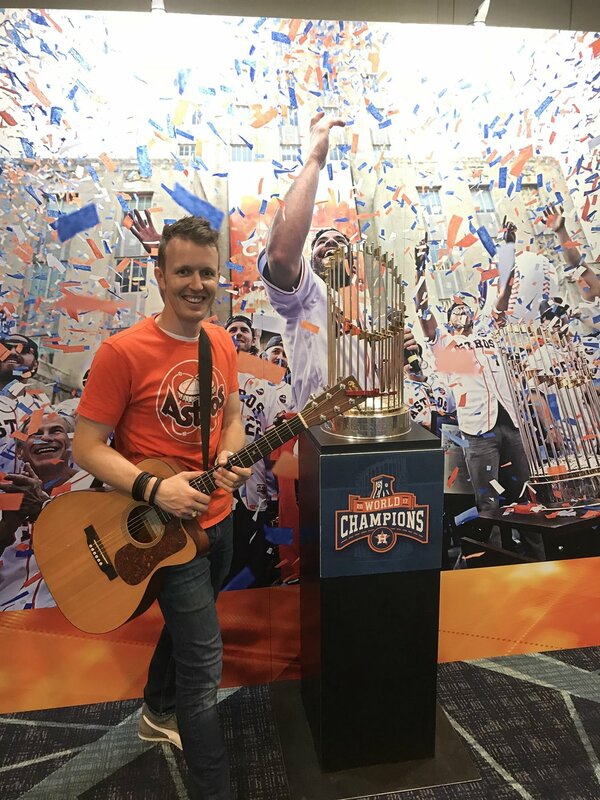 On October 21st we were on stage mid-reception when we announced that the Astros had defeated the Yankees and were headed to the World Series. (Coincidentally, the groom’s family was from Texas and the Bride’s family was from New York.) We were driving back from an event in San Antonio during the 5-hour marathon that was Game 5 and then we watched them deliver their first-ever MLB WORLD CHAMPIONSHIP a few days later. Danny got to play a private event in the same room as the trophy. But in looking back on 2017, the damaging impact from Hurricane Harvey (of which two band members were greatly impacted) leaves a big mark in defining the year. As bad as it was and as powerless as it felt while it felt like it would never end, the experience brought out a lot of true character. It took everyone coming together to handle the cleanup (which is still ongoing). As a band we mucked out some homes, donated our generator to cleanup efforts, and played two charity events to raise funds for recovery as well as a set at George R. Brown a few days after for those that were displaced. In the end, we feel very fortunate to be a part of the Houston Small Business community, event community, and overall, just proud Houstonians!